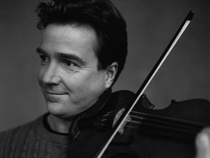 Frank Reinecke studied violin and chamber music at the “Hanns Eisler” Academy of Music (Hochschule fuer Musik) in Berlin with Eberhardt Feltz, and at the College Conservatory of Music in Cincinnati, Ohio with the members of the La Salle Quartet. György Kurtág has deeply influenced his musical development. Frank Reinecke is a member of the Vogler Quartet, who celebrated their 25th season with their original members in 2010. Besides his busy worldwide concert schedule with the quartet, Reinecke plays frequently in other chamber music formations at concerts and various festivals. Partners of recent projects have included Joerg and Caroline Widmann, Mie Miki, Jascha Nemtsov, Julian Arp, Andra Darzins, Judith Ingolfson, and Finghin Collins. Frank Reinecke teaches young chamber musicians at Masterclasses, the Jeunesses Musical Masterclass in Weikersheim, and at the Schubertiade in Schwarzenberg. He was also invited to teach at schools in Denver, Toronto, Calgary, Cincinnati, Sydney, Berlin, and Stockholm. Since 2007 he has been Professor at the Academy of Music and Theater (Hochschule fuer Musik und Darstellende Kunst) in Stuttgart, Germany. Frank Reinecke was artistic director of the Vogler Spring Festival in Sligo, Ireland from 2005 to 2009, and is designing the program for the Kammermusiktage Homburg, Saar—a yearly celebration of chamber music with the Vogler Quartet and their musical friends.